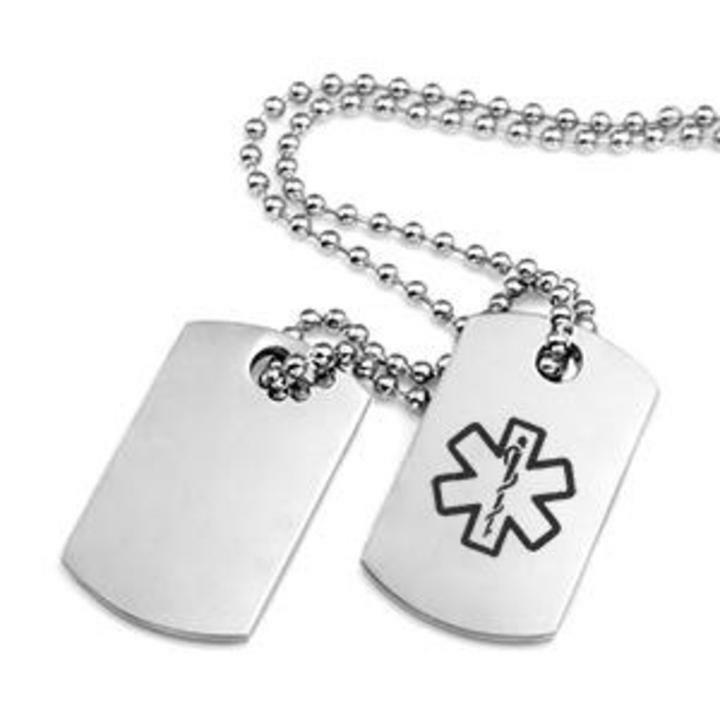 This custom engravable double tag medical id alert necklace comes with two dog tags and space for engraving on three sides. The front of the first tag will be engraved with the medical symbol. The medical id alert dog tags hang from a small, 1 3/4 inch bead chain, which perfectly matches the finish of the included size 20 inch chain.